James (Jim) Herbert Vaughan, 91, of Bloomington, Indiana, died on November 2, 2018. Son of James Herbert Vaughan and Beatrice (Spence) he was born and raised in Norfolk, Virginia, where he graduated from Granby High School in 1945. He served in both the United States Coast Guard and the United States Navy, where he rose to the rank of Lieutenant as an air intelligence officer. 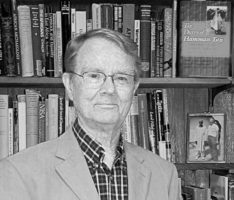 He received his BA (1950) in mathematics from the University of the South (Sewanee), his MA (1952) in sociology from the University of North Carolina, and his PhD (1960) in anthropology from Northwestern University. In 1959 Vaughan was awarded a Ford Foundation fellowship to begin his anthropological research in Nigeria. Over the next 30 years he studied the lives of the Margi people in northeast Nigeria, ultimately producing a large body of publications. His ethnographic study of the Margi, The Margi of the Mandaras: A Society on the Verge, is available on the Indiana University ScholarWorks repository and his photographs of the Margi can be viewed at: http://www.indiana.edu/~margi. In 1997, his book The Diary of Hamman Yaji: Chronicle of a West African Muslim Ruler (co-written with his good friend Tony Kirk-Greene) won the African Studies Association’s Text Prize. 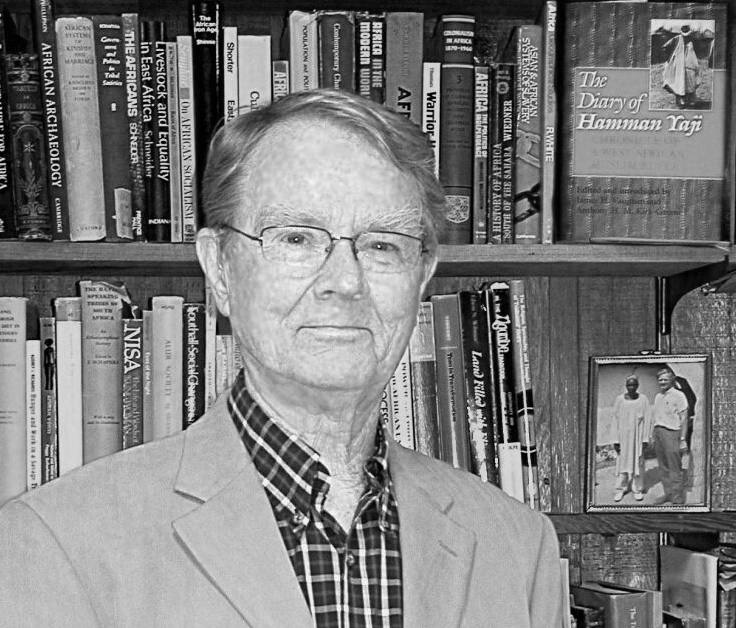 Vaughan held academic positions at the University of Cincinnati (1961–1967) and Indiana University (1967–1991), as well as visiting positions at Rockford College, the University of North Carolina-Greensboro, and St. Anthony’s College of the University of Oxford. He was chair of the Indiana University Anthropology Department from 1969 to 1975, 1978 to 1981, and 1989 to 1990. Additionally, he served as the secretary of the Bloomington Faculty Council during the 1977–1978 and 1978–1979 academic years. Vaughan is survived by his wife Ann, his daughter Susan, his son Dickie, daughter-in-law Margaret Maes, granddaughter Melissa Overton, great-grandson Eden Vaughan Waters, and his scottie Robbie, all of Bloomington, Indiana. Contributions may be made in James Vaughan’s honor to either the United States Coast Guard Auxiliary or Indiana University’s Mathers Museum of World Cultures.